"It also celebrates the power of peer-to-peer influence, which is so crucial in helping young people learn the importance of lifelong engagement with their finances." 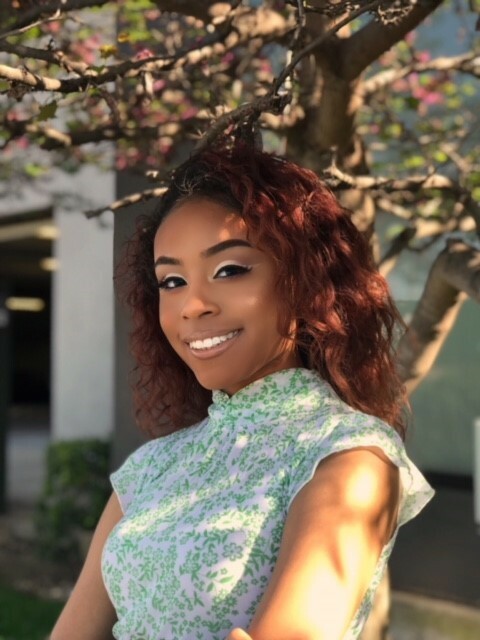 ATLANTA--(BUSINESS WIRE)--In honor of Financial Literacy Month in April, Boys & Girls Clubs of America and Charles Schwab Foundation selected teen Arianna Akinwunmi from Frisco, Texas to serve as the 2018 National Ambassador for the Money Matters financial education program and receive a $5,000 scholarship. Now in its 14th year, the Money Matters program teaches the basics of personal finance and the importance of an early start to financial responsibility. One in five (22 percent) U.S. teens lack basic financial literacy skills, and the U.S. ranks seventh out of 15 participating countries in the evaluation of 15-year-olds’ ability to understand essential financial concepts, according to the Program for International Student Assessment. As the National Money Matters Ambassador, Akinwunmi will advocate for early financial literacy in an effort to help teens across the country expand their knowledge of money management. Since the program’s inception in 2004, more than 850,000 Boys & Girls Club teens have completed Money Matters in more than 1,700 Clubs. The program aims to help young people achieve financial independence and well-being. Through the program, Charles Schwab Foundation has presented more than $550,000 in college scholarship grants to Boys & Girls Club teens who excelled in the program and demonstrated newly acquired personal finance skills. Akinwunmi, now a high school senior, first became interested in the Money Matters program in fourth grade and completed the course at her Club during her eighth grade year. 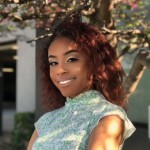 Since then, she has shared her newfound financial knowledge with other youth at Boys & Girls Clubs of Collin County and throughout the Frisco, Texas community. With a current 4.0 GPA, Akinwunmi plans to major in finance at the University of Texas at San Antonio. Upon graduation, she hopes to start her own business with a focus on community service. Eventually, Akinwunmi plans to offer entrepreneurship classes to young people so they too can earn the financial freedom to follow their dreams. In addition to Akinwunmi, 10 other Boys & Girls Club teens will receive $2,500 scholarships for their outstanding personal finance leadership skills. Follow Carrie Schwab-Pomerantz at twitter.com/CarrieSchwab and www.linkedin.com/in/carrieschwabpomerantz/. For more than 150 years, Boys & Girls Clubs of America (BGCA.org) has enabled young people most in need to achieve great futures as productive, caring, responsible citizens. Today, more than 4,300 Clubs serve nearly 4 million young people through Club membership and community outreach. Clubs are located in cities, towns, public housing and on Native lands throughout the country, and serve military families in BGCA-affiliated Youth Centers on U.S. military installations worldwide. They provide a safe place, caring adult mentors, fun and friendship, and high-impact youth development programs on a daily basis during critical non-school hours. Club programs promote academic success, good character and citizenship, and healthy lifestyles. In a Harris Survey of alumni, 54 percent said the Club saved their lives. National headquarters are located in Atlanta. Learn more at Facebook and Twitter. Charles Schwab Foundation is a private, nonprofit organization funded by The Charles Schwab Corporation. Its mission is to create positive change through financial education, philanthropy, and volunteerism. More information is available at www.aboutschwab.com/community. Charles Schwab Foundation is classified by the IRS as a charity under section 501(c)(3) of the Internal Revenue Code. The Foundation is neither a part of Charles Schwab & Co., Inc. (member SIPC) nor its parent company, The Charles Schwab Corporation. Charles Schwab Foundation and Boys & Girls Clubs of America are unaffiliated entities.